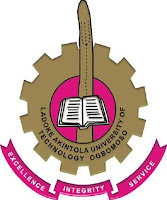 Governor Abiola Ajimobi of Oyo State says Ladoke Akintola University of Technology (LAUTECH), Ogbomoso, will resume academic activities on or before Feb. 1. In a statement issued by Mr Yomi Layinka, the governor’s Special Adviser on Communication and Strategy on Saturday, the governor said arrangements had been concluded to re-open the university. The statement said the decision to re-open the school was the agreement reached after a meeting with the national, zonal and state leadership of the students’ unions in his office on Jan. 6. Ajimobi also said the agreement was made during a discussion with Gov. Rauf Aregbesola, of Osun, the stakeholders and LAUTECH Vice Chancellor, Prof. Adeniyi Gbadegesin. He said the various discussions and decisions were aimed at finding a lasting solution to the debacle. The News Agency of Nigeria (NAN) reports that academic activities in the university had been grounded for eight months due to the strike by the academic and non-academic staff. The academic and non-academic staff of the university had embarked on the strike action over unpaid salaries and emoluments. NAN reports that both governors and top officials from the states had, in October 2016, met in Ibadan to proffer a lasting solution to the lingering disagreement over the institution. Representatives of the two owner states had also met last Tuesday in Osogbo to agree on the way out of the crisis prior to Friday’s round of talks. The students’ union team was led by Mr Salam Olajide, the Senate President, National Association of Nigerian Students. The statement said the delegation sought audience with the governor to plead with him to facilitate the urgent reopening of the university. “The governor thanks the students’ delegation for their concerns and explained that the two owner states regret the huge loss of valuable time to all stakeholders. “The regret is more particular about the students, whose academic calendar has been significantly disrupted by the prolonged closure,’’ it said. The governor hinged the problem on the constraints currently experienced on account of the debilitating effects of the recession on the capacities of the two governor’s to meet the demands of the striking workers. “We regret the fact that in spite of all efforts at persuading the striking workers to resume, they refused to shift ground,’’ the statement quoted the governor as saying. He, however, announced that the schools would be re-opened on or before Feb. 1 going by the level of his discussions with Aregbesola. 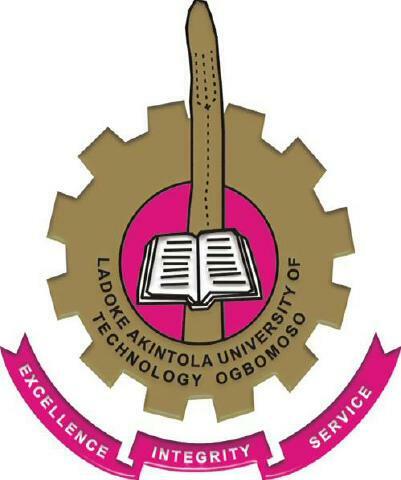 “With today’s pronouncement, it is hoped that stakeholders, including the management, staff and students of LAUTECH, will begin to put adequate machinery in place preparatory to full resumption. In a separate development, Ajimobi has ordered the immediate re-opening of the five secondary schools shut in the wake of students’ arson attack on some schools in the state. NAN reports that the secondary school students in the state had protested the state government’s no automatic promotion in schools’ policy, destroying some infrastructures in some schools. Amomg the affected schools are Isale Oyo Community High School, Oyo; Anglican Methodist Secondary School, Oyo; Oba Adeyemi High School, Oyo; Ojoo High School, Ibadan and Community Secondary School, Iyana Idi- Ose, Ibadan.